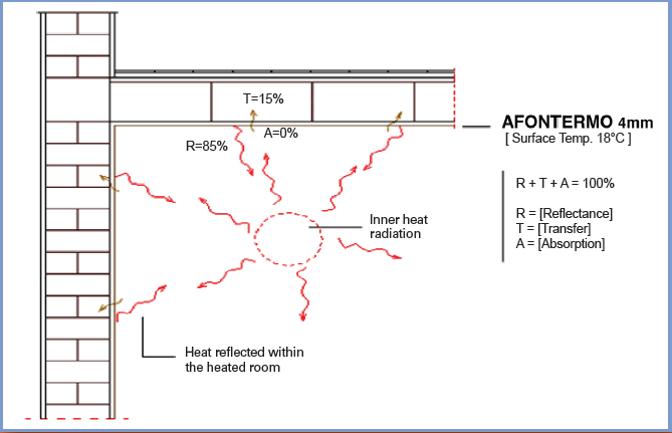 Afontermo is an extra-thin, anti-condensation, reflective plaster coating that has outstanding insulating performances that prevent condensation and mould forming and optimises the energy consumption of buildings. Applying the product on the interior walls, the heat will not be absorbed but will be re­flected, maintaining a constant tempe­rature even when the heating system is kept low. Afontermo few millimetres thick coating layer ensures the same result as 6-7 centimetres of insulating materials because it reflects and holds in up to 85% of the indoor heat. Afontermo, if applied outdoors, will re­flect and reject the heat of the summer. 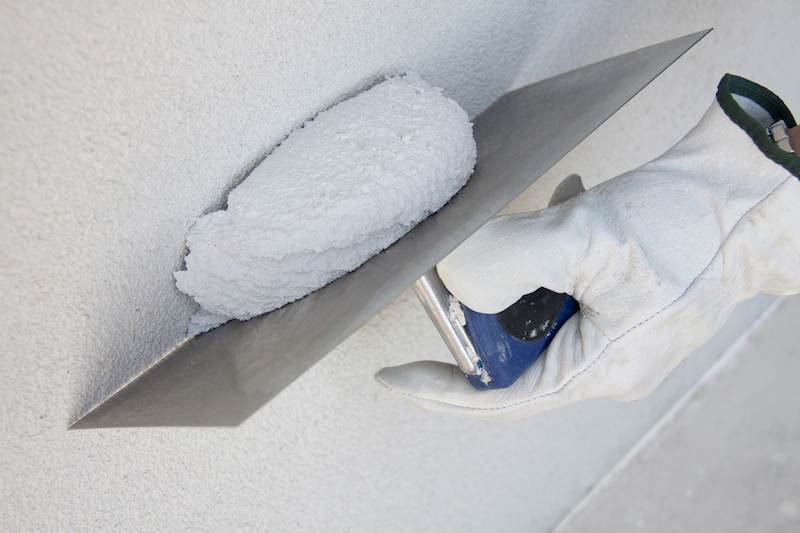 Afontermo reflective plaster coating is the best technical and economic solution for thermal insulation in renovating works reducing indoor modifications to zero.